As UV levels begin to rise across the country, skin cancer experts gathered in Melbourne today to debunk the myths about sun protection and cancer at the launch of a new book designed to set the record straight. 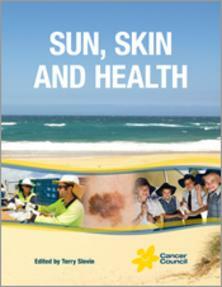 Sun, Skin and Health is required reading for anyone living under the Australian sun. The book covers a wide range of issues important to managing skin cancer in Australia including the origins of skin cancer, the factors that drive the strength of UV radiation, early detection and treatment of the major skin cancers and what to do after the disease. Sun, Skin and Health editor and Chair of Cancer Council Australia’s Occupational and Environmental Cancer Risk Committee, Terry Slevin, said the book would address some of the myths and misconceptions about skin cancer. TRUTH: Skin cancers are so common that people have become complacent. Although 95% of skin cancers can be successfully treated if found early, skin cancer can be a life-threatening disease. TRUTH: Basal cell carcinomas (BCCs) are by far the most common and least dangerous form of skin cancer, while squamous cell carcinomas (SCCs) are less common, but can spread to other parts of the body if they aren’t treated. Less common still, but far more likely to kill are melanomas, with 313 Victorians dying from melanoma in 2012. Even so, nationally a quarter (543 out of 2087) of all skin cancer deaths were due to non-melanoma skin cancers. 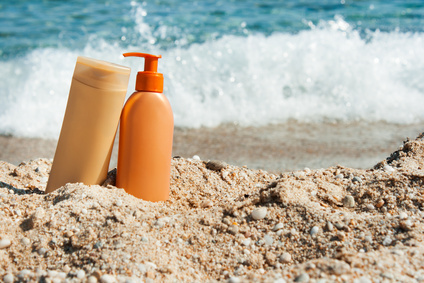 TRUTH: Many people mistakenly believe that they only need sun protection on hot, sunny days. Ultraviolet (UV) radiation from the sun, not heat, is the major cause of sunburn, premature ageing, eye damage and skin damage leading to skin cancer. UV cannot be seen or felt. It’s not like the sun’s light which we see, or the sun’s warmth which we feel. So the best way to protect yourself is to check the sun protection times each day either in the weather section of the newspaper, on the Bureau of Meteorology or SunSmart websites or via the free SunSmart app. TRUTH: “We live in an extremely high UV environment where your skin can burn in just 11 minutes on a clear January day. Vitamin D deficiency is a legitimate concern for people who rarely see the sun, such as people who are infirmed or cover up for cultural reasons. But the rest of us in the southern parts of Australia should make enough vitamin D from September to April, without overexposing our skin to UV,” he said. TRUTH: “Rarely a summer goes by without a concern raised about the safety or efficacy of sunscreen. The truth is that regular use of sunscreen at any age has been found to reduce the risk of skin cancer.1 Those worried about nanoparticles can rest assured – there has been no reliable evidence to suggest that the concentrations of nanoparticles found in sunscreen products are harmful,” he said. Sun, Skin and Health also has chapters on sunscreen, Vitamin D, eye health and the impact of the sun and what to look for in protective clothing and shade.